Please note: Pictures are for illustration purposes only, makes and models may vary. Whether you’re looking for a short-term rental on a van for a quick, one-time move, or a medium to long-term rental to bulk out your existing fleet, Rent A Bomb will be able to match your needs with the perfect van, truck, or ute at rates that will leave you smiling. When your business depends on making timely deliveries, unreliable vehicles will do more than just frustrate you and your customers. Which is why we ensure that all our vehicles are fully serviced and maintained on a regular basis, so you can focus on managing your business, instead of managing your fleet. Our reputation depends on you not being let down by any of our vans, utes, and trucks. Our vans, utes, and trucks are all equipped to help you move furniture, equipment, products, and customer deliveries between two or more points. 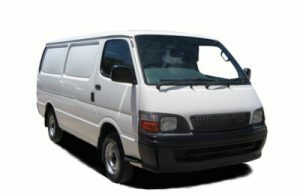 But our Saver utes and vans are smaller, used vehicles that are better suited to deliveries and trips that take place in a 50-kilometre radius of the Sydney city centre. This is large enough to encompass Sutherland in the south, and Mooney Mooney in the north, and all the way through to Penrith, west of the Sydney CBD. 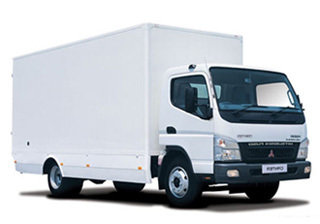 If you’re looking for something to take you a little further, or a vehicle that is bigger and includes some modern conveniences, ask about an Upgrade vehicle, which – in our range of trucks – could include a hydraulic tailgate, making the delivery of larger, heavier items, so much more convenient. Our staff are all equipped to be able to listen to your needs and ask relevant questions, so that they can recommend the perfect solution for your needs. 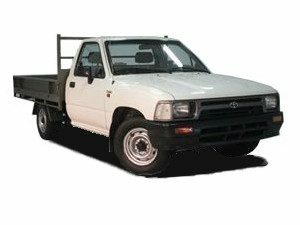 Ensuring you don’t end up with a ute, van, or truck that is too big, or too small. Our Sydney office is situated less than two kilometres from the Sydney Domestic Airport station, which is great if you’re needing to pick up or drop off items at the airport. And we’re open seven days a week, including public holidays. © 2019 Rent A Bomb. All rights reserved.